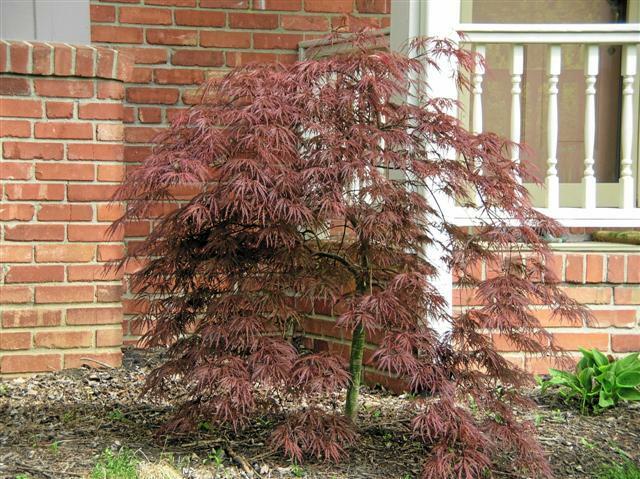 I had a small red leaf Japanese maple growing in a large foundation planting on the south facing side of my house. There are some large oak trees that filter the sun at times but it is by no means in a shady spot. It was in this spot when we moved in 6 years ago and looked well established. Last summer/fall with the very dry conditions I made sure to water it deeply once a week. Now this spring 2011 it looks dead with only a few leaf out places at the bottom of the tree. I loved the look of this tree in this spot. 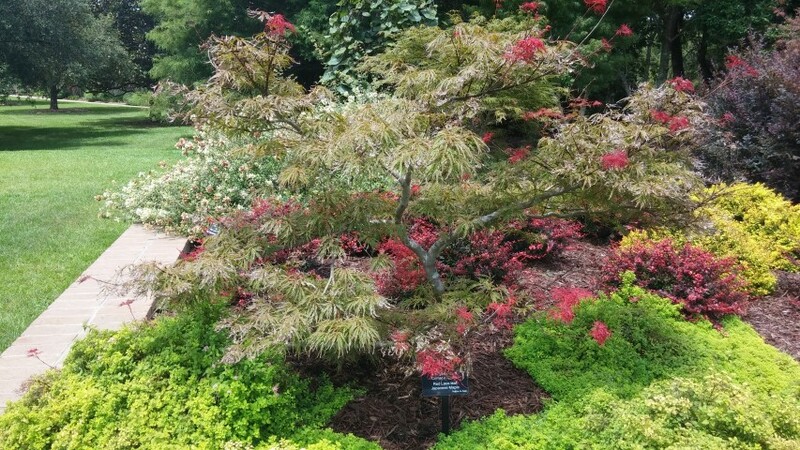 What got it The drought of 2010 The cold winter Some other disease Can I safely replace with a tree like the Crimson Queen Any local availability in the Cinti/Dayton area that is recommemded Thanks for your help. SAP.S. Love the plants around the Cinti zoo throughout the seasons especially all the new plants along Vine/Erkenbreaker.